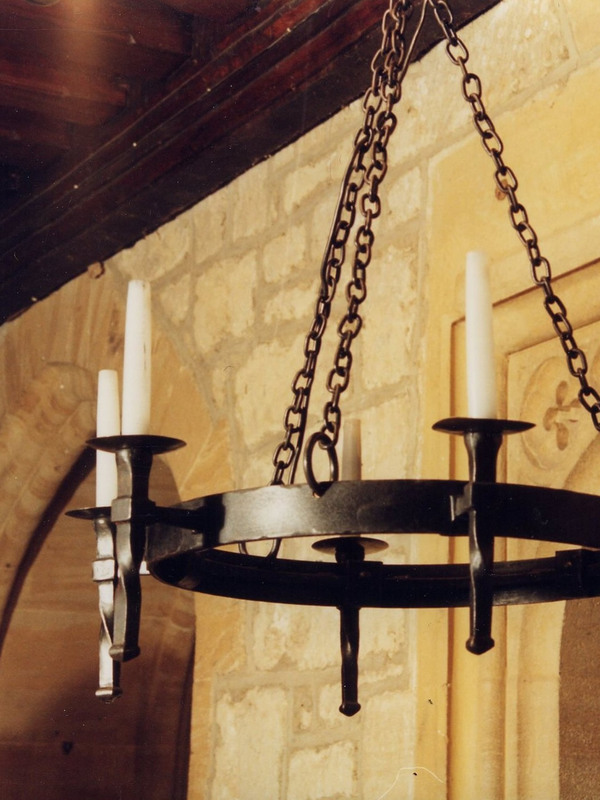 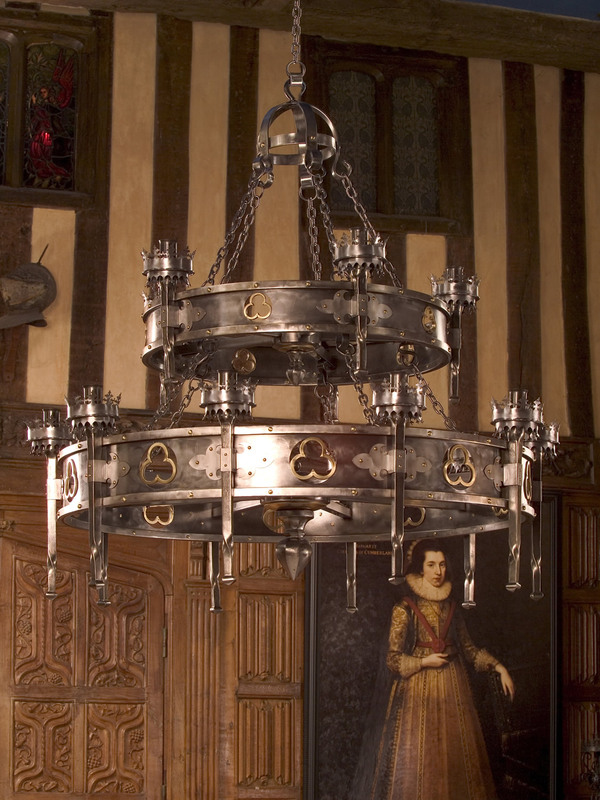 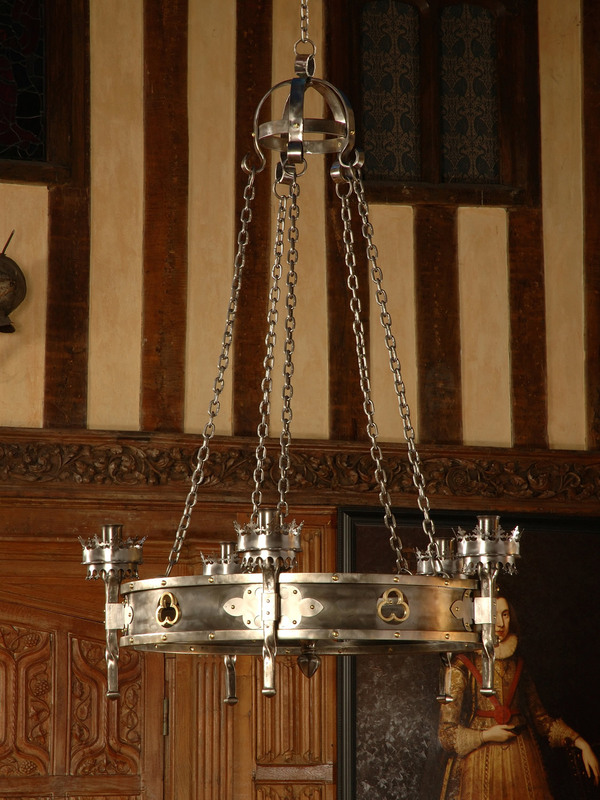 We have designed our exclusive lighting collection to enhance any period-style setting. 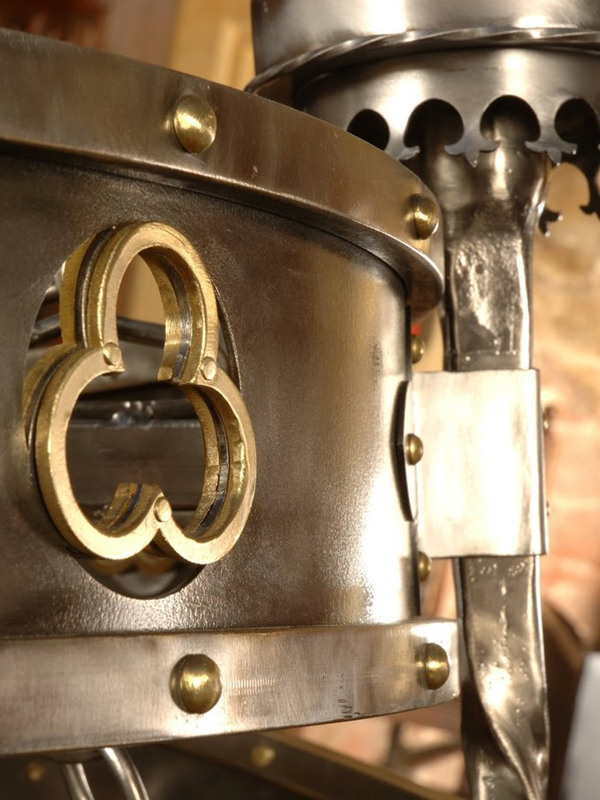 All items are hand forged to order using iron, brass or pewter – making each one a unique piece. 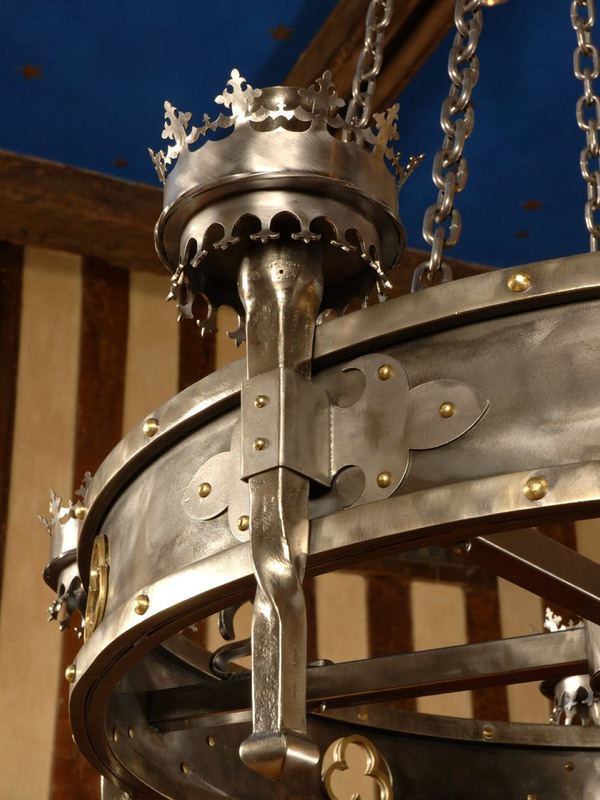 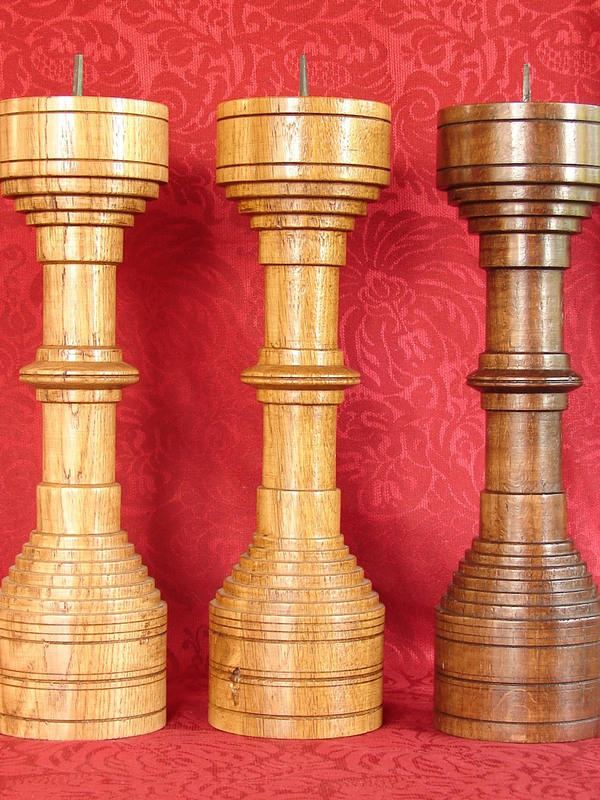 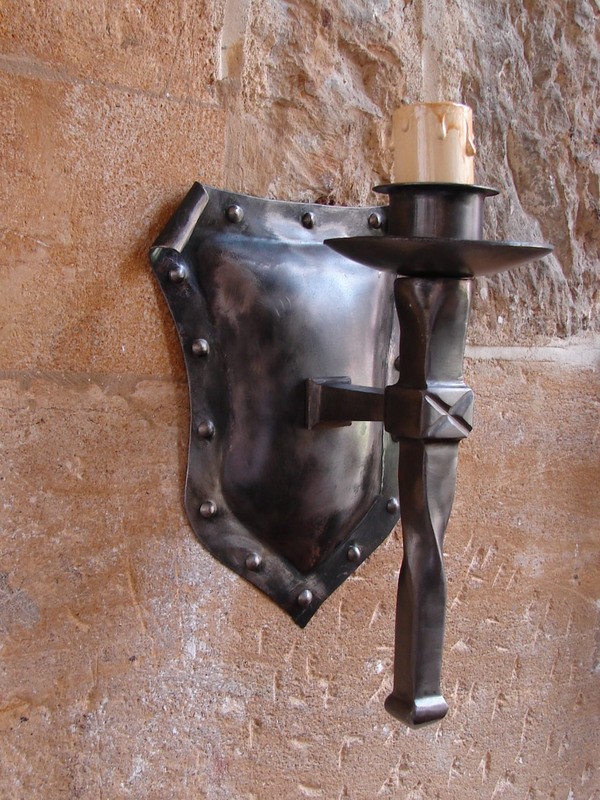 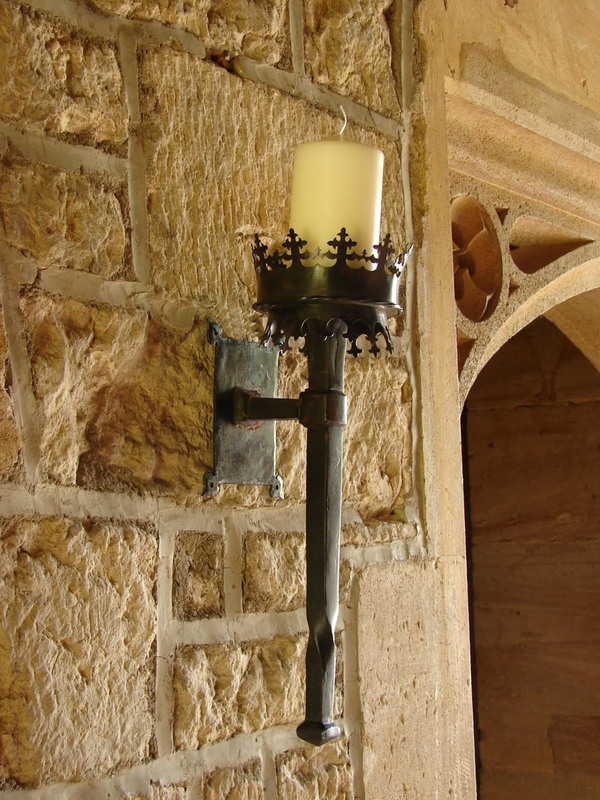 Each item will be wired to meet British Safety Standards or can be made to take traditional candles. 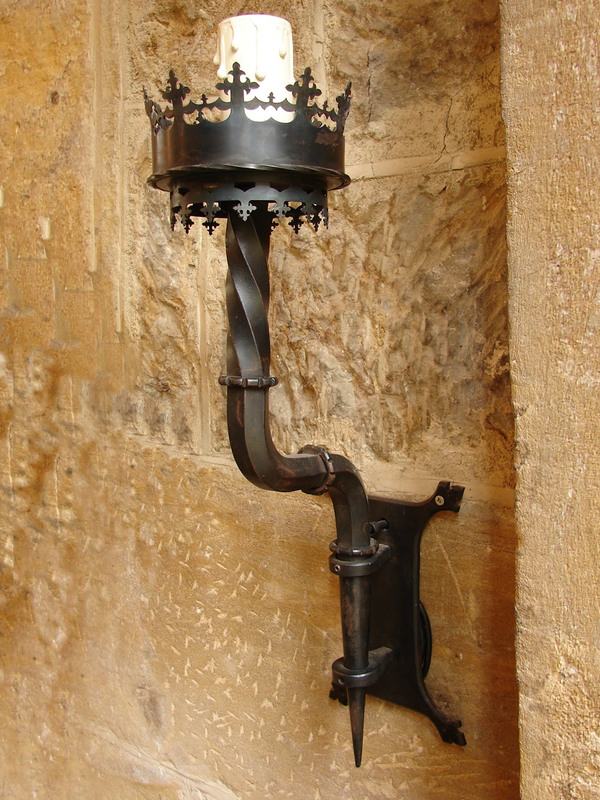 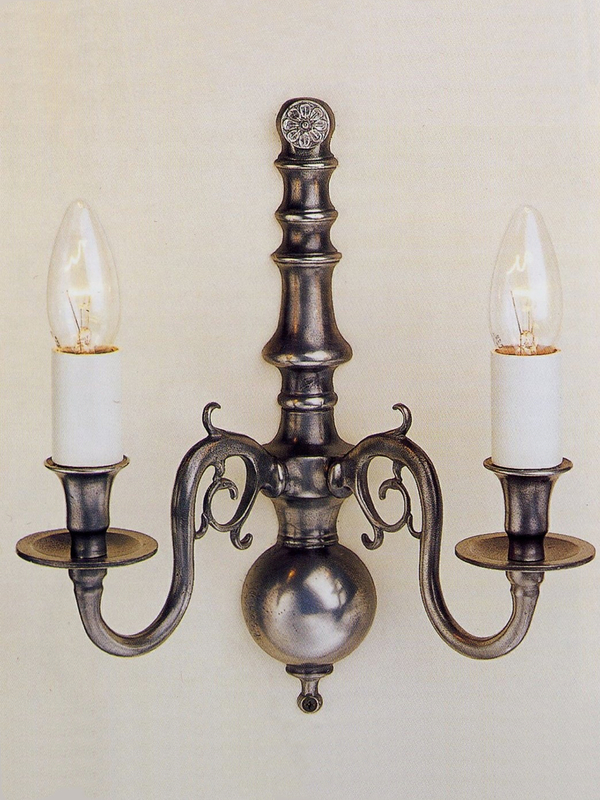 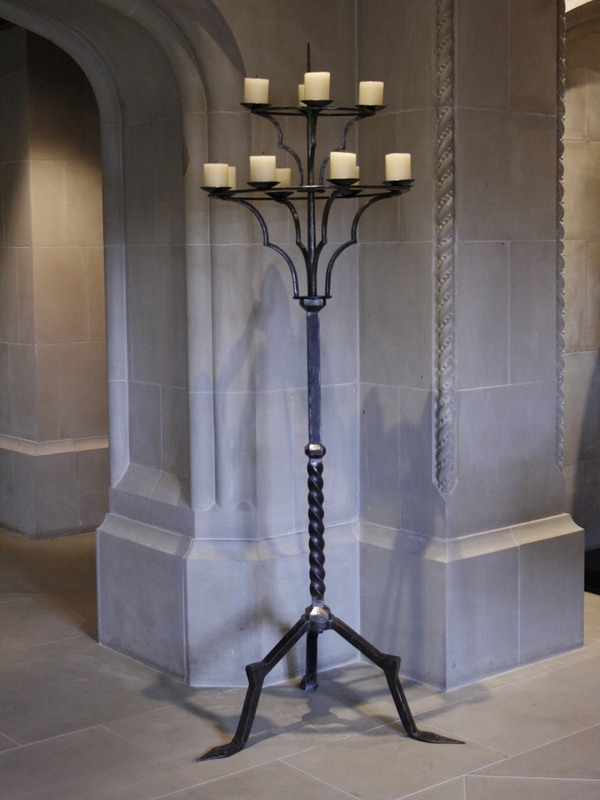 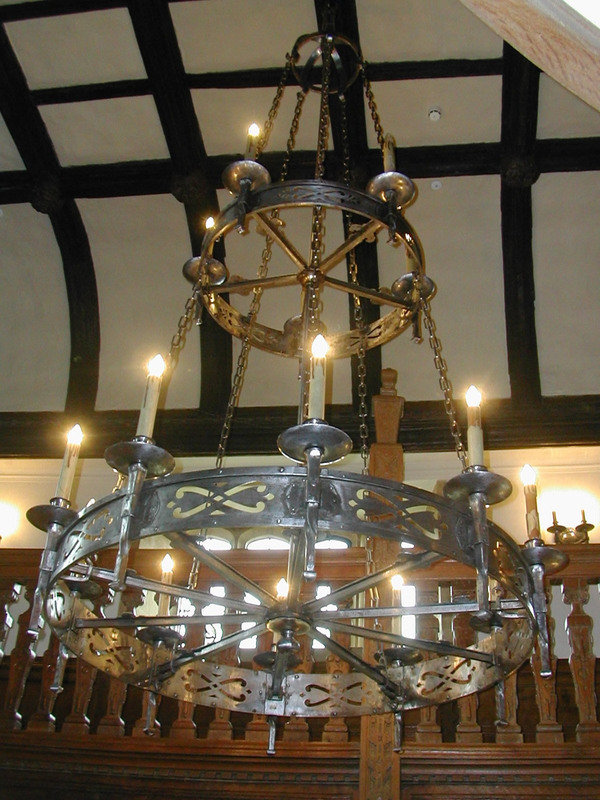 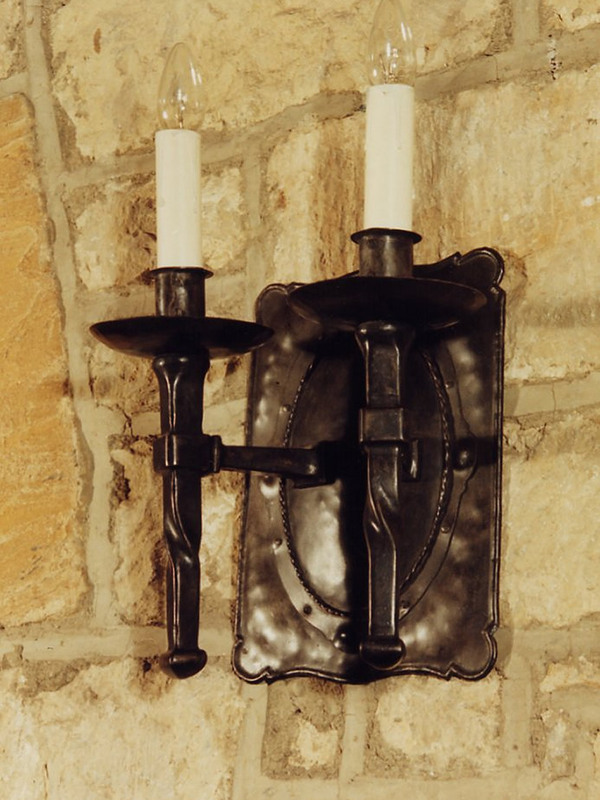 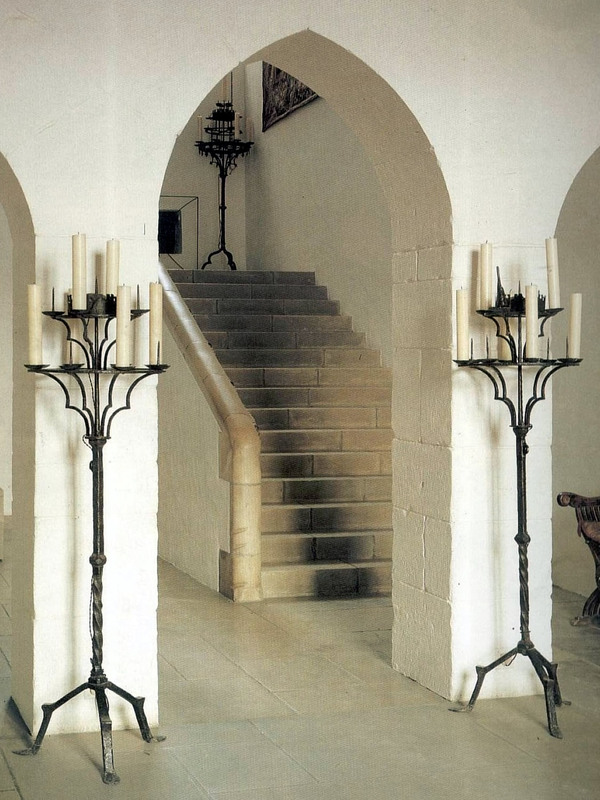 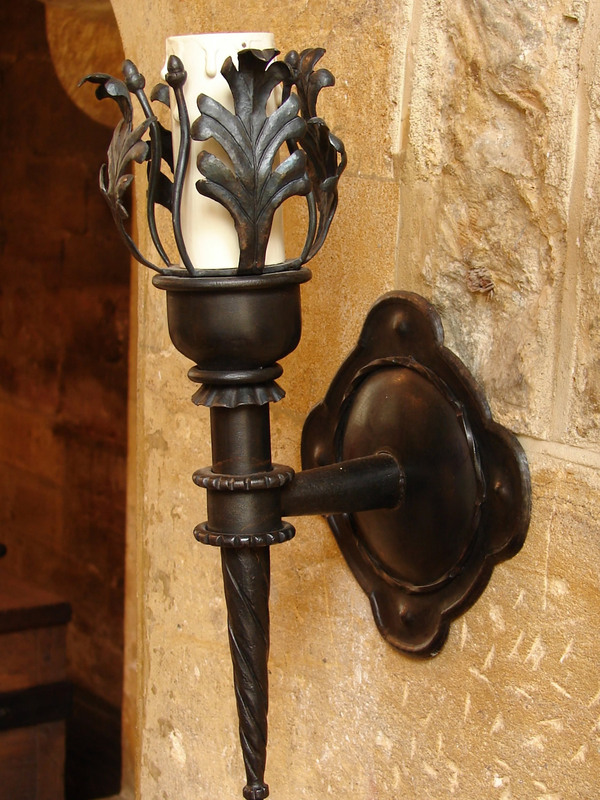 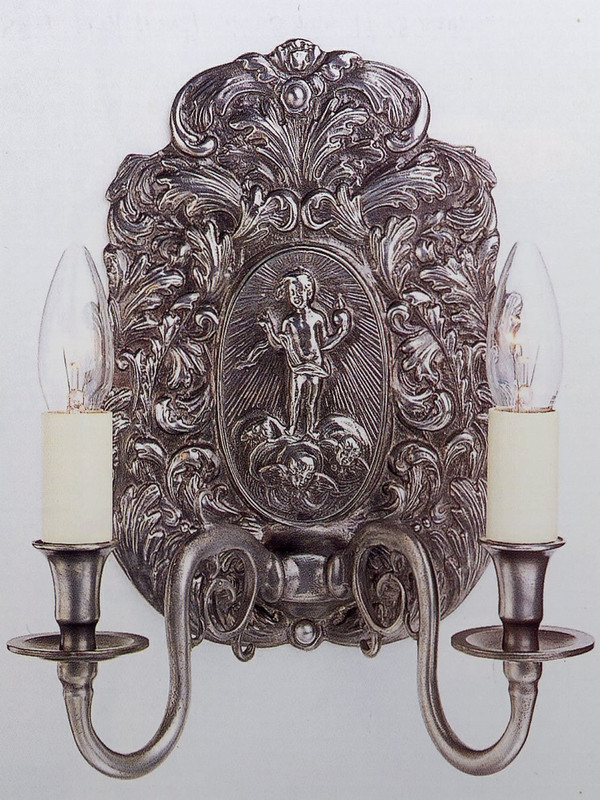 We offer a variety of wall lights, sconces, chandeliers and candelabra, or clients can commission something unique to create their own personal ambiance. 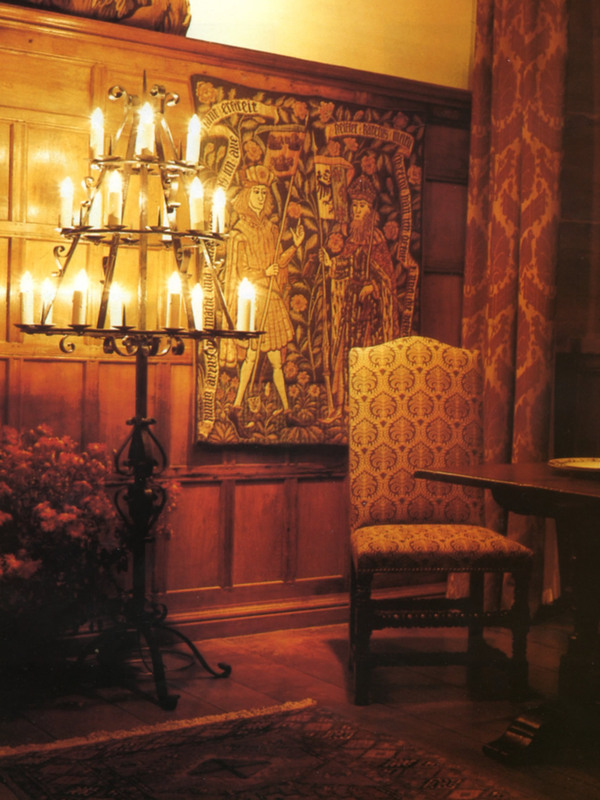 A selection is shown, please call us to find out more.